Off the plane and into barrels! New swell has started to arrive. 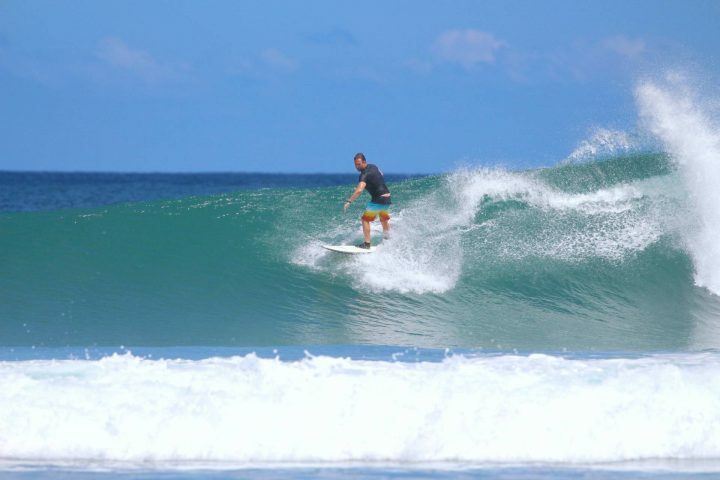 What a day of waves we had here in the Telo islands. Pick your poison, we had it all… lefts, rights, barrels and walls for days all with moderate SE trade winds keeping some of our favourite waves nice and groomed, just the way we like it. A new southwest swell at 218 degrees filled in throughout the day, with larger overhead waves consistent going into the afternoon giving our new guests a chance to get absolutely shacked straight off the plane, what a start to their trip! Swell looks like it will peak tomorrow morning and dissipate through Friday, we will let the photos do the rest of the talking.